﻿ Hot melt equipment and machinery manufacturers of hot melt, Hot Melt Adhesive Spraying Machine , Gun And Infusing gum tube . Ruian City Jiayuan Machinery Company located in Zhejiang province in China. Our company specialize in hot melt adhesive coating machine, hot melt extruding coating machine, die-cutting machine, slitting & rewinding machine, roll cutting machine and so on. Hot melt equipment is widely used in the industries of paper carton package, shoe materials, cosmetics fill, furniture agglutination, book binding, dynamo agglutination, filter, auto inner-decoration, adhesive tape, garments materials, advertisement materials, medical dressing, label, nonwoven and electronic sealing, profile wrapping, edge banding, assembly, lamination, multilayer, calking, coating. Our products are highly appraised by customers from South Africa, Hong Kong, Mid-Asia, Southeast Asia, Vietnam, Thailand, Iran, Pakistan, India, Indonesia, Spain, Ukraine, etc. We also sell machines to Europe. Our products gained great popularity from customers for stability, efficiency and competitive price, already with CE certificate. 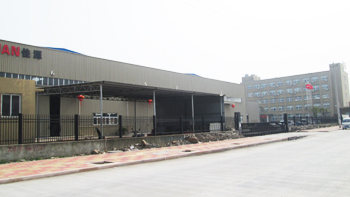 Jiayuan Machinery Co., Ltd is a large-scale manufacturer in a variety of hot melt machinery in China. In recent years, the factory is growing stronger and stronger, introducing and absorbing the advanced technology from foreign countries based on our economic strength. High standard management, technology and equipments which enable us to provide good quality to customers. We sincerely hope to establish a long-term business relation with customers all over the world. To acknowledge all customers’ caring and support for many years, we will do our best to improve our products to create a higher and more refined, updated product in order to repay customers.